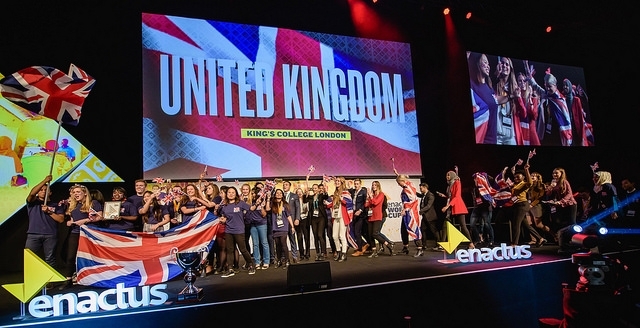 Enactus UK is proud to have welcomed the Enactus World cup to London! On September 26th to 28th, 2017 a select group of 3,500 students, business, academic and government leaders from around the globe gathered in London for this special event that included three unforgettable days of collaboration, competition and celebration. The members of Enactus believe that entrepreneurial action can create a better world for us all. Guided by academic professionals and supported by business executives, Enactus students apply their talents and innovative thinking to create community development projects focused on areas such as entrepreneurship, food security, access to water and women’s economic empowerment that empower others to improve their livelihoods. This year, we had even more opportunities for the Enactus Students to engaged with business executives through our Innovation Stations, our Global Goals Forum and for the first time ever, holding the Enactus Races at the World Cup. We were delighted to have been joined by representatives from so many of our Enactus Global Partners. And throughout it all, Enactus World Cup celebrates the diversity of culture, abundance of ideas and synergy of cross-generational leadership in action. 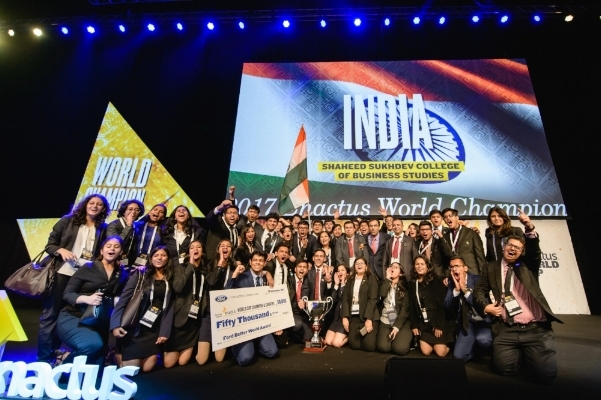 The 2017 Enactus World Cup winners were the team from Shaheed Sukhdev College of Business Studies from Enactus India. One of the Enactus Global sponsors Ford, gave the winners $50,000 to use on their projects and to split between the winning team and their Enactus Country. We thank our ENACTUS UK National Partners for their kind sponsorship of the event. we are proud to announce the 2018 enactus World Cup will be hosted by Enactus USA in Silicon Valley, San Jose, California.